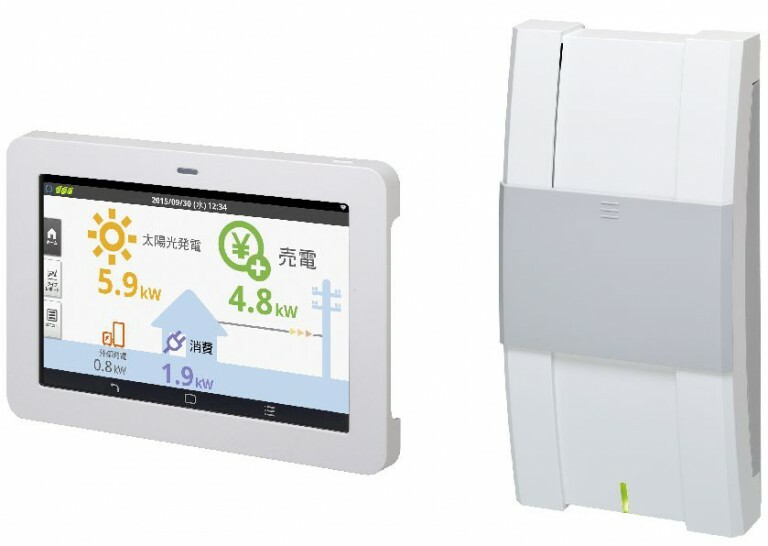 OMRON Corporation’s Energy Intelligent Gateway is able to manage the state of the solar power conditioner for residential use and the state of the power generation and the power consumption in the house by using the measurement unit and the display unit. As the measurement unit complies with the ECHONET Lite standard, it can connect to the HEMS controller of each company. In addition, the Energy Intelligent Gateway can show the amount of power generation and power consumption in an easy-to-understand manner on the display unit, without the HEMS controller, and it can also be used as a simple HEMS.